SUITS: Universal 1-8 cylinder or 2 rotor applications. INCLUDES: Elite 550 ECU, Waterproof USB cap, USB programming cable and software CD. 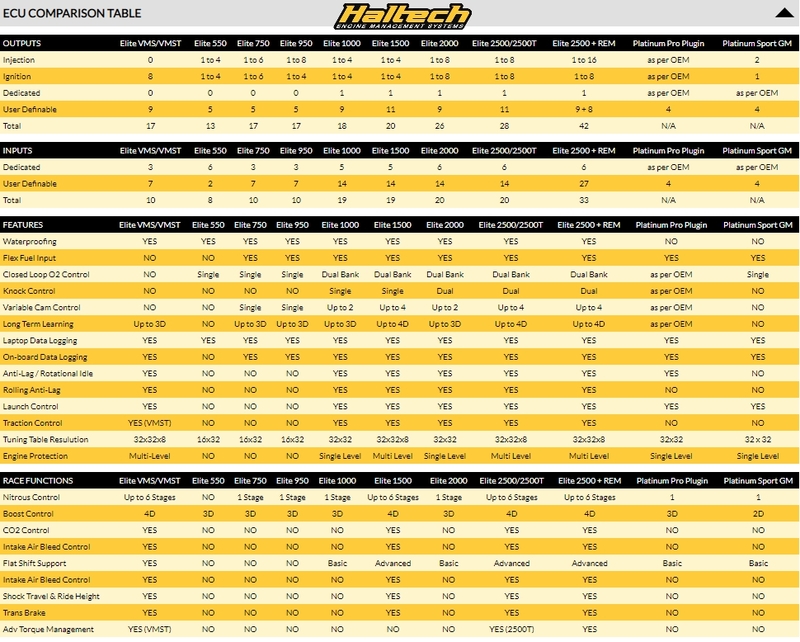 NOTES: Haltech's entry level, single connector ECU. Ideal for basic 4 cylinder or 2 rotor engine applications and basic EFI conversions.